As our Journey students finish the fifth week of their summer school we take a look back at what they’ve been up to in Wroclaw, Bologna, the Netherlands and Hamburg. After an introduction into climate change and entrepreneurship the students will start work on forming their own climate change business idea. Last week the first two streams of the Journey met in Wroclaw for their finals! Whilst the shorter three-week summer schools also met Bologna to pitch their business ideas. The last two groups of students set off this week for Tronheim and London after spending the last two weeks of their Journey in the Netherlands and Hamburg. Summer school students who journeyed from Zurich and Budapest joined together in Bologna last week for their business idea pitches. Winning teams were Tex-olution, who won the best pitch award, and Blue-Dock who took home best idea. The first two Journey streams joined together in Wroclaw, Poland last week for their finals! Teams practiced their pitches and finalised their business cases before competing against one another in front of a Jury, and audience of their peers. 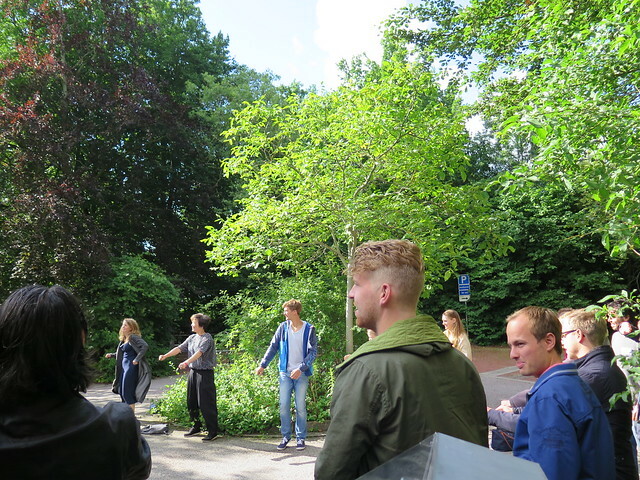 Meanwhile in the Netherlands students were shown state of the art water innovations by start-up, Wetsus, at the TU Delft campus last week.